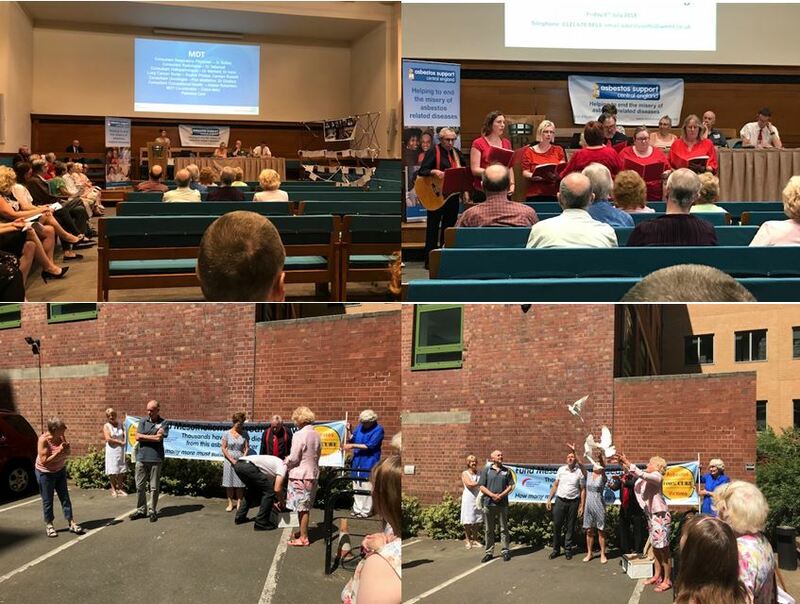 A public event was held on Friday 6 July in The Priory Rooms Garden in Birmingham for the commemorative release of doves in loving memory of all those who have suffered due to mesothelioma. Messages of support and remembrance were displayed on the day and all donations were divided between the Mick Knighton and June Hancock Mesothelioma Research Funds. As part of this year’s event the public were asked to contact their local MP and ask them to support the eradication of asbestos in all public buildings by 2028. The event was also used to raise funds to support medical research into mesothelioma with the hope that one day there will be a cure. Mesothelioma is a very aggressive cancer for which there is no cure and the UK has the highest number of sufferers in the world. The only known cause is exposure to asbestos which is still found in over half a million non-domestic premises. Asbestos exposure is the biggest, single, work-related cause of death in the UK.